Does Michael Powell Have The Ugliest Blog On the Planet? While veering through Yahoo news this evening I came across the headline: “FCC Boss Launches Blog Aimed at High-Tech Industry”. For the first time ever I read about a new blog from a source outside the blog world. Usually you find out about these sorts of thing by plowing through 25 insightful blog entries which read: “so and so is blogging – subscribed!”. In true Yahoo / Reuters fashion, however, the news article didn’t contain an actual link to the blog, but links to news and websites about the FCC. At the very bottom of the article, they put in the URL, but not in a hyperlink. I cut and pasted the URL into IE. I really thought I had reached the wrong server. I see a big broken banner on the top because ActiveX controls are disabled for the Internet zone. Advertisements and menus appear randomly on the page, and there is a huge gap of whitespace to scroll through before blog entries appear. Then I reached the bottom of the page, which included more advertisements from Sun, IBM, and AOL. On a hunch, I viewed the page in Firefox. Suddenly, the layout improved. Menus aligned. Caverns of white space turned into proper half inch borders. The colors still give me a headache, but it’s hard to cram 22 advertisements on a page without looking like a dryer full of checkered golf clothes. I hereby interrupt the “week of the malcontent” with the “evening of possible enlightenment”. What if your site navigation comes from a database table? All you need to do is derive from the abstract class SiteMapProvider and override a handful of methods, like GetParentNode and GetChildNodes. These methods can be straightforward to implement with a few pre-built collections of type Dictionary<string, SiteMapNode>. SiteMapNode objects represent the nodes in the site map, while a Dictionary is one of the exciting new classes from the System.Collections.Generic namespace, which you can use to build strongly typed collections. You can have multiple providers for a site. If half of the site navigation information comes from XML and the other half from the database, that’s quite possible. It will be interesting to see what other providers come out. I'm sure SQL, and File System providers will be in demand. Why Do Microsoft Webcasts Have To Stream? The MSDN Webcasts Weblog is online. Since I am doing nothing but whiney posts this week, then I’d like to ask: Why can’t we download the webcasts for offline viewing? The Personal Media Center isn’t for sale as yet. The Microsoft webcasts do not download as a file I can save, they only stream. [Updated with MSDN Webcasts new URL]. Let me say that the Express version of SQL 2005 has not been a disappointment to me. The disappointment has been in not getting a new beta of the ‘real thing’, the ‘Venti espresso’, the ‘yellow yolk of the Yukon egg’. I have not tried to do much with SQL Express. As soon as I heard the product mentioned in the same sentence as MSDE, I pictured it appearing in the Server Explorer window of the IDE, doing all the mundane things databases have done for the last 5 years. I think a previous forced experience in wrestling with MSDE helped me figure out some of the quirks, like hunting down the instance name to make a connection [use (local)\SQLEXPRESS]. requirements because it is not complex enough. Also interesting: I came across a SQL Express rant and a MySql success story in back to back posts this evening. I hope something gets released before the trend continues. UPDATE: One more SQL Express rant, and a SQL Express success. A few days ago, I decided I wanted a new button on my Outlook toolbar. When I click the button I want highlighted items redirected to a web mail account with the ‘From’ address intact. I’m sure this already exists somewhere, but I wanted to learn how to do it myself. The above code, using reflection, worked perfectly. I managed to finish the code for my button click event, but not without some irritation. The base class library in .NET spoils developers, and I think if Microsoft wants people to develop for Office they should provide a higher level of abstraction on top of the runtime callable wrappers. 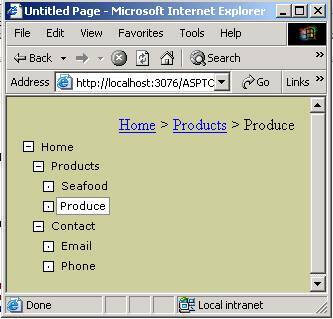 The interface should be subject to the same design rules and usability testing as the rest of the .NET libraries. Let me give you a couple examples about why I am griping. Selected items are kept in a Selection collection. Indexing into the collection gives me a plain object reference. It would be nice if there was a base class representing any type of item in Outlook which I could perform some operations on. As it stands, I had to dig through the documentation to find the types of Items I am interested in: MailItem and PostItem objects. I had to find these items in the object browser of the IDE as the documentation I used (VBAOF11.chm – the Microsoft Office Object Model) make no mention of them. Without documentation I decided the best way to get to know these classes was by inspecting them in the debugger. Unfortunately, if I cast an object reference to type MailItem, all I see in the debugger quick watch is a System.__ComObject, which gives me nothing to go on. If, however, I cast the reference to the interface type of _MailItem (notice the underscore), then I can see all the properties and values I am interested in. The fact that there are three types available to work with (MailItem, _MailItem, and MailItemClass) only adds to the confusion. My fading COM memories tell me these types probably exist because of the difference is dispatch and vtable binding, but when I just want to get something done in Outlook I don’t really care to learn the differences. 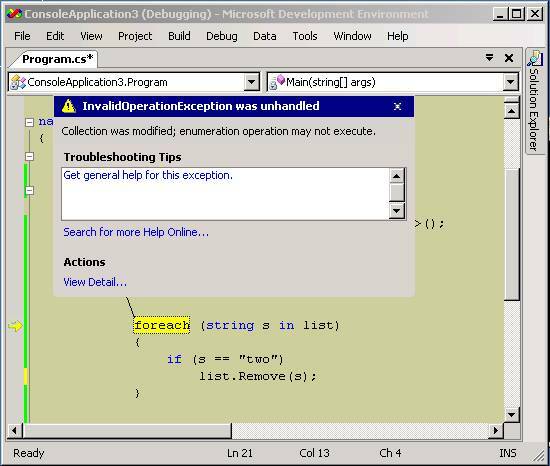 I just wish it was easier, and with integrated documentation, like the rest of the .NET development experience. Whine, whine, whine. P.S. I found the easiest way to debug an add-in which is loaded by Outlook when Outlook starts is to invoke System.Diagnostics.Debugger.Launch(), and let's not talk about the number of times you need to put in System.Reflection.Missing.Value as a parameter to a method. Complain, complain, complain.